(Nanowerk News) The latest buzz in the information technology industry regards “the Internet of things” — the idea that vehicles, appliances, civil-engineering structures, manufacturing equipment, and even livestock would have their own embedded sensors that report information directly to networked servers, aiding with maintenance and the coordination of tasks. 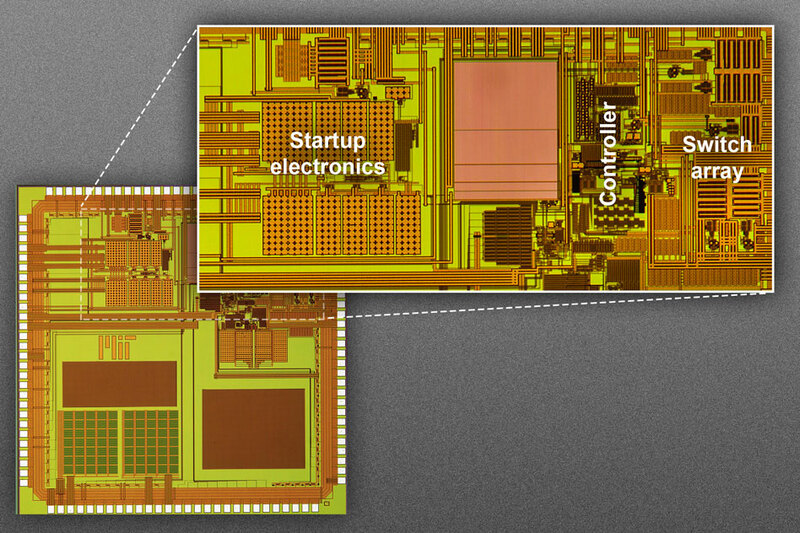 Last week, at the Symposia on VLSI Technology and Circuits, MIT researchers presented a new power converter chip that can harvest more than 80 percent of the energy trickling into it, even at the extremely low power levels characteristic of tiny solar cells. Previous experimental ultralow-power converters had efficiencies of only 40 or 50 percent. 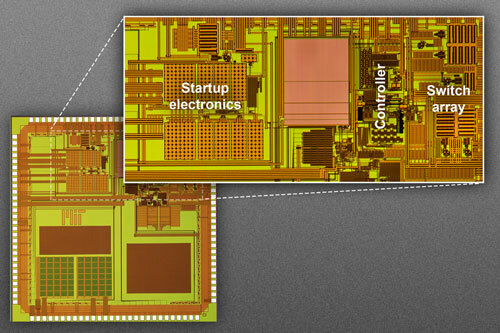 The prototype chip was manufactured through the Taiwan Semiconductor Manufacturing Company's University Shuttle Program.